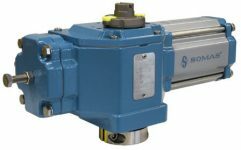 SOMAS actuator type A is designed for control and on/off applications. This actuator is primarily intended for use with SOMAS ball valves, ball segment valves and butterfly valves. SOMAS actuator type A-DA is double-acting and designed to meet the highest requirements for control applications. Special attention has been made to achieve low friction zero backlash. The coupling eliminates backlash between actuator and valve which optimizes control performance. SOMAS single-acting actuator type A-SC/SO is more or less identical to the A-DA-actuator, the difference being a spring device which can be used for opening or closing the valve. 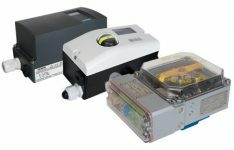 All of our actuators have passed comprehensive quality control before shipping and all our solutions meet the demands of the process industry for function and reliability. 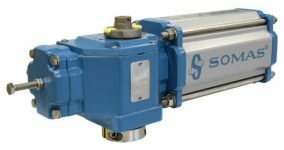 SOMAS actuators have a torque curve that complies with the torque requirement for the ball segment, butterfly and ball valves. The linear motion of the piston is transformed into a rotating motion by means of a linking system. Low-friction seals provide a low starting torque. Depending on the required torque and the air supply pressure, one or two cylinders are used. Spring return actuators are optimized with respect to compact dimensions and crackproof springs. The springs are mounted in a package for increased personal safety in connection with service. Open and closed valve positions are handled by lockable adjustment screws.